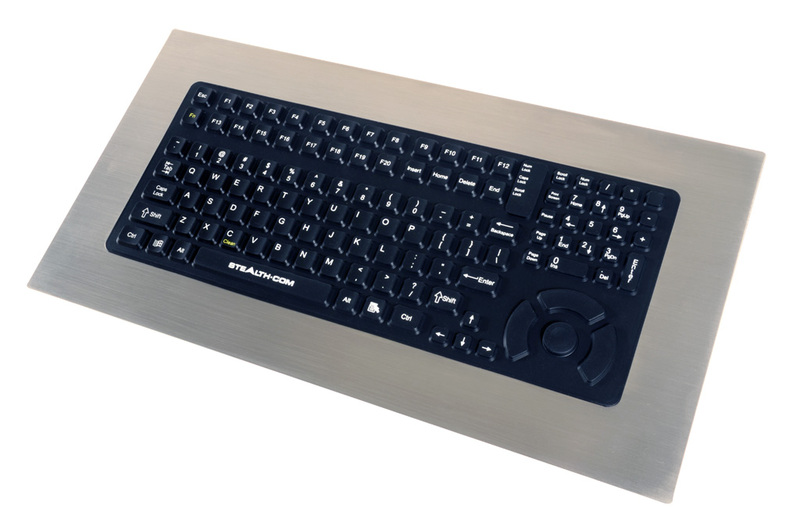 The Stealth Computer rugged panel mount keyboards allow for easy integration into workstations or other industrial environments. 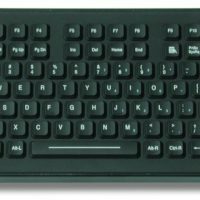 The model 5000-PM-FSR Rugged Panelmount Keyboard meets NEMA 4, 4X / IP65 specifications (when properly installed) which enables them to survive in the roughest of conditions. 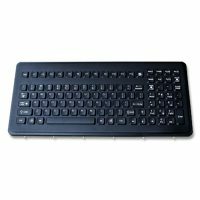 This rugged keyboard with stainless steel bezel includes 112 Keys in total, 20 Function Keys, 22 Key numeric keypad and a built-in 3 button pointing device mouse. 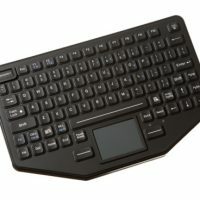 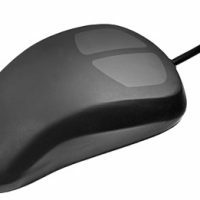 The 5000-PM-FSR also features a “Clean Key” that locks the keyboard down when a cleaning function is performed.